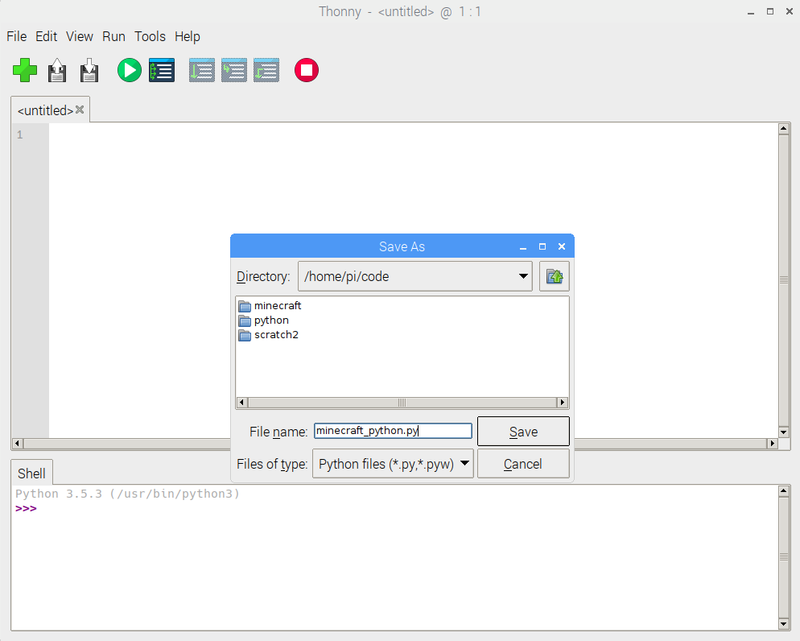 Interact with Minecraft using the Python programming language and Minecraft’s application programming interface(API). To put it simply an API is a well defined method of interacting with some kind of software. Think of it like the rules to a game, the rules dictate how the game is played and how you are able to interact with the game state. Python is an interpreted programming language that is designed to be easy to learn and easy to use. 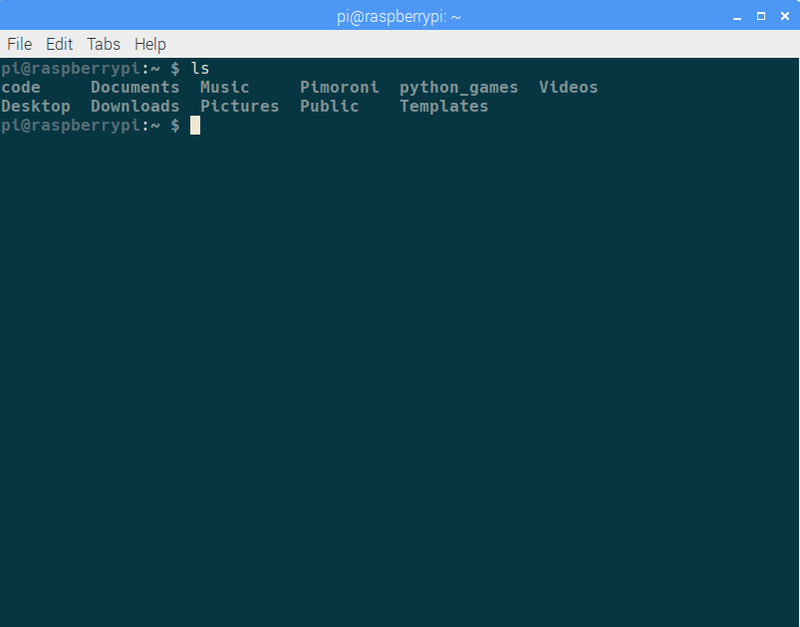 Python has many available libraries for the Raspberry Pi and is a very useful tool on the platform. Keep in mind that python uses white space (spaces, tabs, etc) to format and organize it’s instructions, take close care when typing to avoid these sometimes unobvious mistakes. 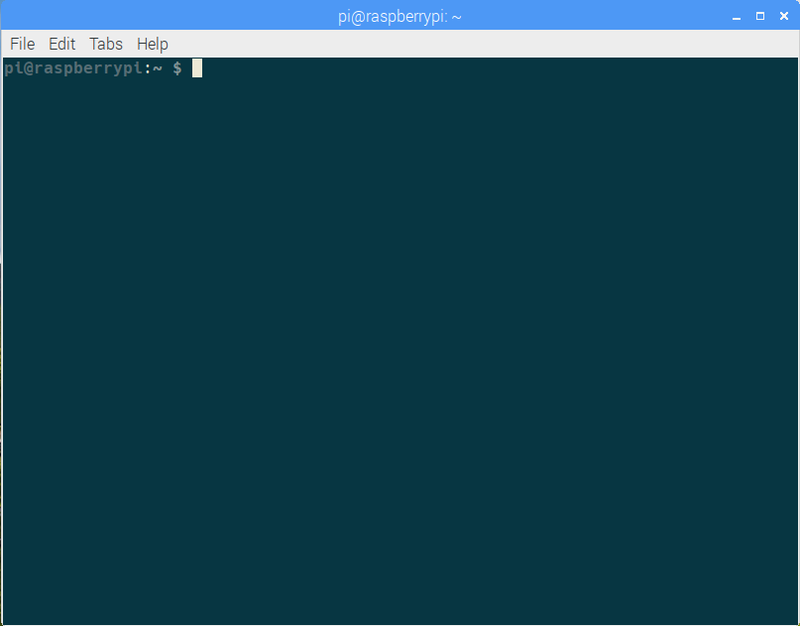 Open a terminal either clicking the icon on the top bar or using the keyboard shortcut CTRL+ALT+t. The mkdir command creates a new directory at the specified location, in this case “~/code”. 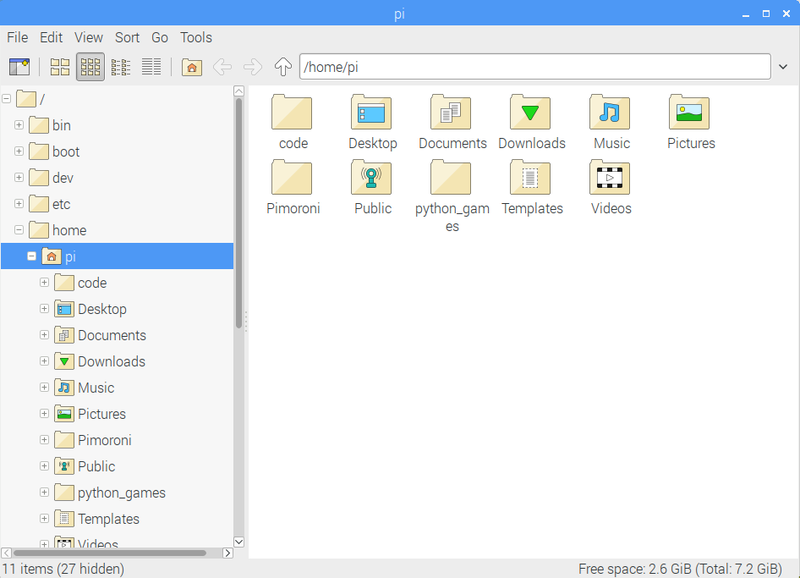 In the terminal (this command lists all files and directories), or using a file explorer. 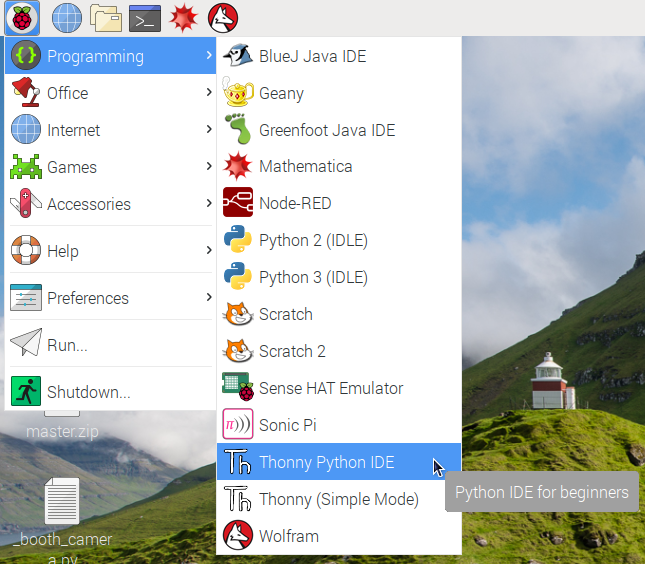 Next, open Thonny Python IDE by navigating to the Raspberry Pi icon in the upper left side of the desktop, click on Programming and look at the bottom of the list for Thonny Python IDE. Click on File and select New. 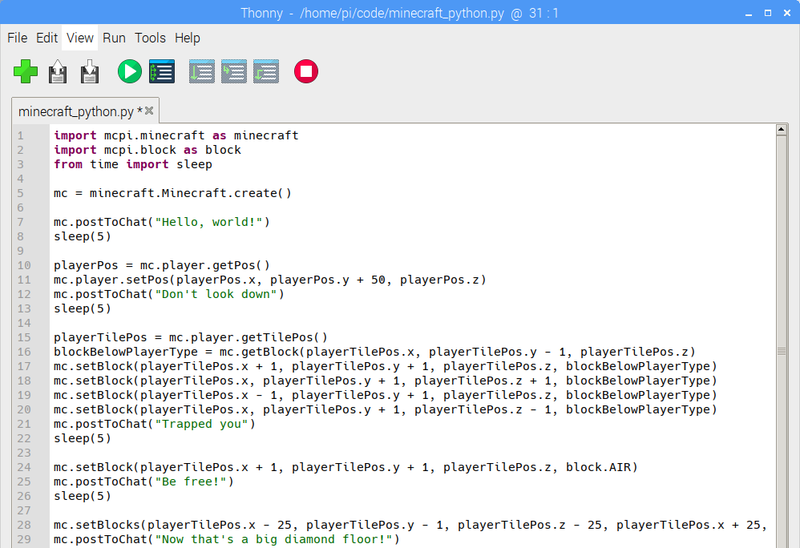 Click on File and Save As “minecraft_python.py” in the code folder we created earlier(/home/pi/code). Now we are ready to start programming in Python. The “import” keyword load a specific code module. The “as” keyword allows you to rename a code module to something else. The “from” keyword allows you to load a submodule as it’s own module. Currently this python program does nothing exciting however lets learn how to execute the program. 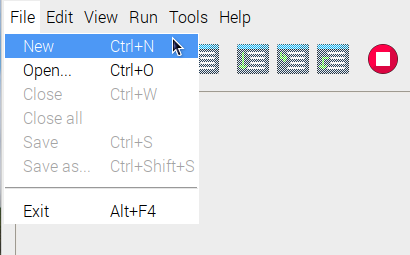 You can either use they keyboard shortcut F5 or click on the green play icon. After program execution the shell at the bottom of the window should have some lines of text appear, however nothing should else should happen. The first line creates an object that is connected to running an instance of Minecraft. Setting it equal to mc lets us access the Minecraft game using mc within the code. The second line uses the mc object and a method “postToChat” to send text to the games chat. The third line delays the program for the specified number of seconds, in this case 5 seconds. Before running the code this time, we need to open Minecraft and enter a new world. 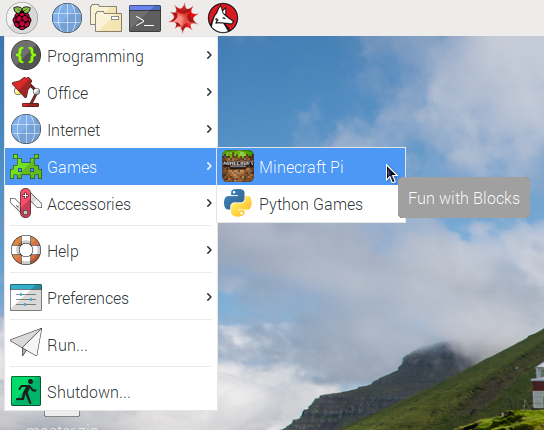 Click on the Raspberry Pi icon in the upper left, click on Games and then Minecraft Pi. 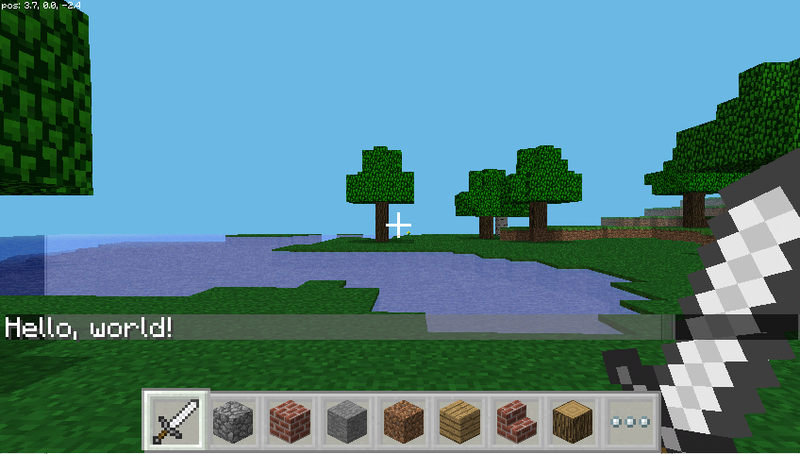 Once Minecraft is open, click Start Game then join a preexisting world or Create New. Using the tab key to free your mouse from the Minecraft window, run the code and switch back to the Minecraft window. “Hello, world!” should appear in the chat. The position of the players head is stored in the playerPos object. The players new position is then set relative to the previous position (In Minecraft you stand on the XZ plane with the Y axis being vertical). Running this code will in addition to the previous action of sending text to the chat but then teleport the player 50 blocks vertically of their current position. It is ideal to type in code whenever possible as it helps with learning however this next section is rather large and copy-paste will make quick work. After running the code try to look back and see if you can identify what each line is doing. Now add the following to your code. Notice that the setBlocks method unlike the setBlock method can take a range of X, Y, and Z coordinates. Running the code this time in addition to the previous actions will change the blocks in a 50 x 50 x 1 shape 1 block beneath the players feet. Modify the code, move the player in different directions. Add additional blocks to the trap. Posted in Minecraft, Python, Raspberry Pi.